UPDATE: This wonderful ability to ignore updates has been removed in Mavericks ( OS X 10.9 ). Mac Updates Available has been an annoying reoccurring message for me ever since we got a new printer replacing the HP model we had previously. With the old printer gone there is no reason to install updates to the HP Printer Driver. I was thrilled to discover I can easily Ignore Updates. This small change made disproportionately happy, which is a sign of a great fix. 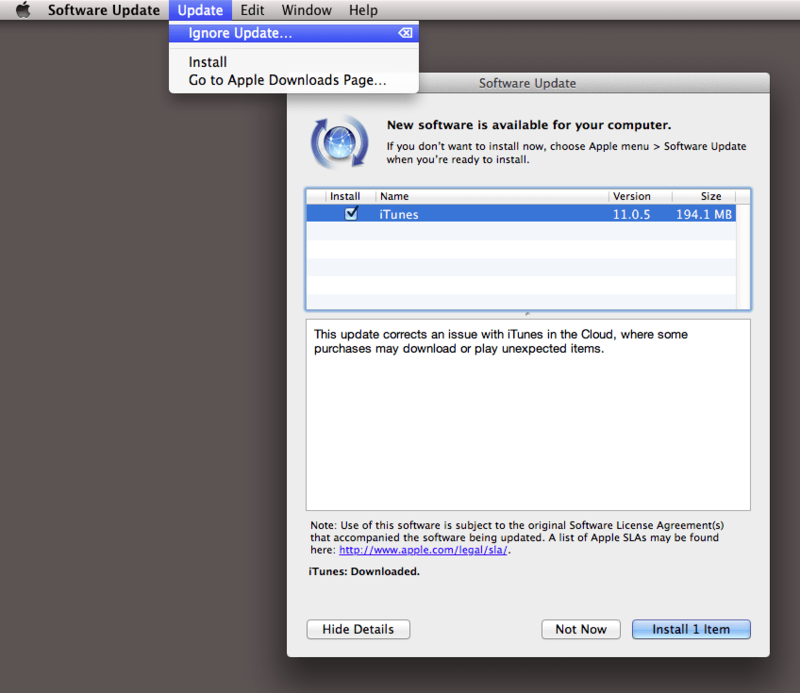 I’ve now also used it on iTunes updates.